Today I feel it's my duty as a Brit who is currently enduring, along with millions of others, a very damp July with heavy and, at times, torrential rain in many parts of the UK, to divert our attention to sunnier climbs. 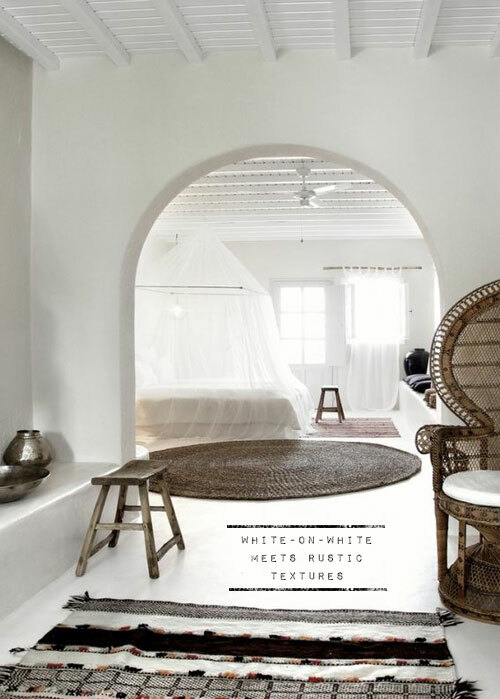 In fact, wherever you are in the world right now, even if it's sunny but you just can't get into your Monday, I'd like to take us all on a journey that will combine relaxed interior styling and traditional Greek sugar-cube architecture, and of course, some golden sunshine...let's kick-back. I don't know why this trip has not yet happened, because I remind myself every year that Mykonos is on my must-see list of places to holiday, but it just hasn't materialised. Once made famous by the likes of Jackie Onassis and the world's glamour-atti, this golden island offers textbook classic architecture and styling along with some surprisingly contemporary finds too. And of course, with the current dire financial crisis gripping many of our Greek friends, little islands like this need our tourism more than ever before. 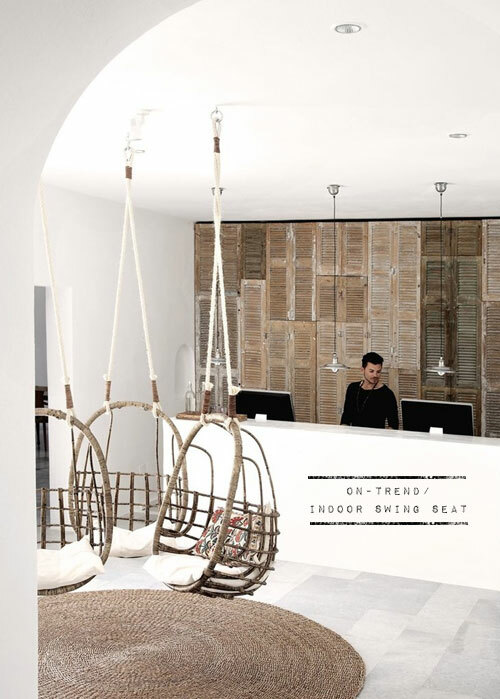 So here we are, you and I standing in the instantly soothing reception at San Giorgio Hotel, Mykonos. The outside is a whitewash of classic Greek goodness with palms and olive trees cutting their dappled silhouettes against the white rendered sugar cube buildings. 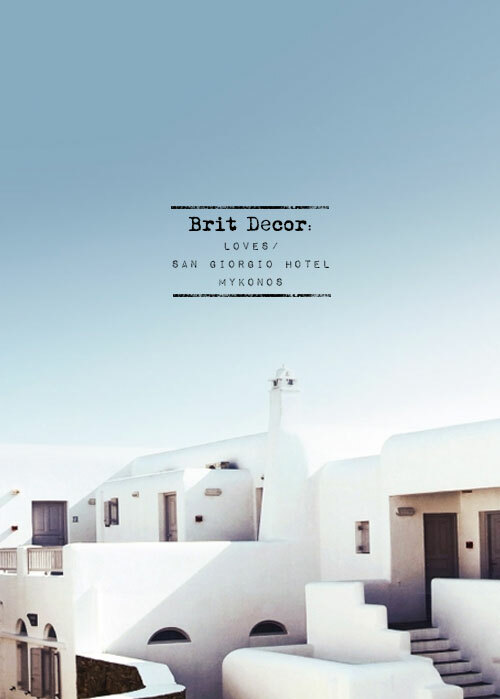 Whilst the interiors do bear the hallmarks of the grecian style, there are plenty of contemporary twists to be found in this design hotel. 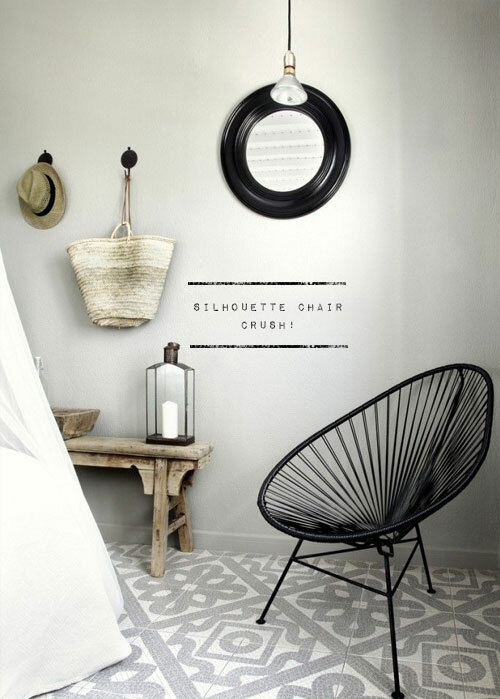 Take the on-trend seat swings in the foyer, the raffia weave rugs, or perhaps the striking silhouette chairs - this hotel is not short on detail (so important in interiors styling) but it's all cleverly delivered within a neutral and calming context, one that instantly transports its guests into 'holiday mode'. 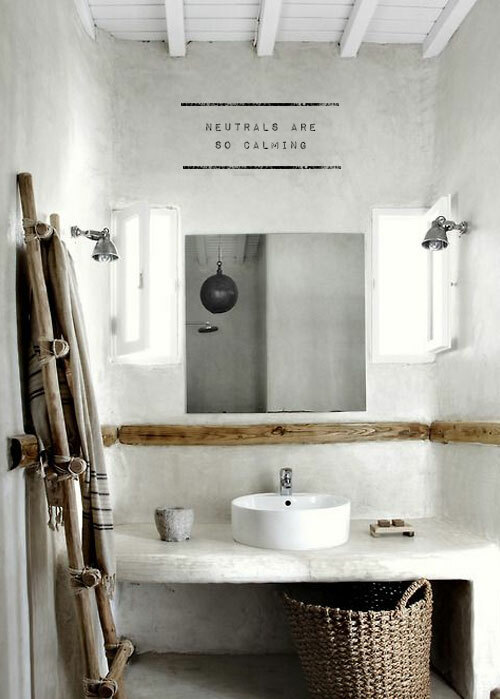 Did it work, are you feeling the holiday vibe? 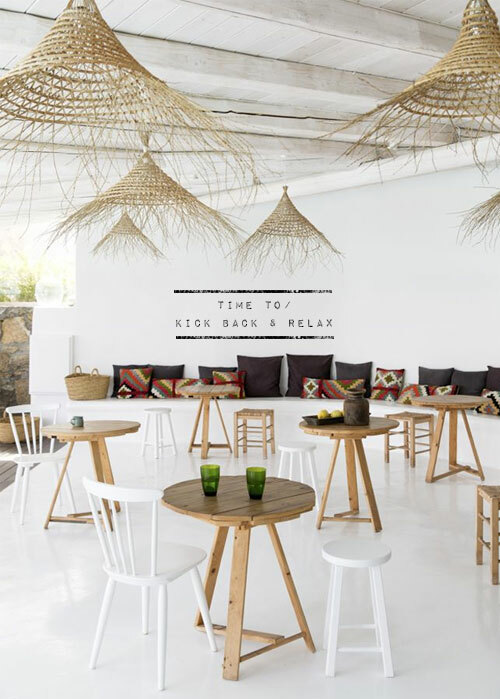 I'd love to hear from you if you have visited Mykonos, where is good to go on the island...? 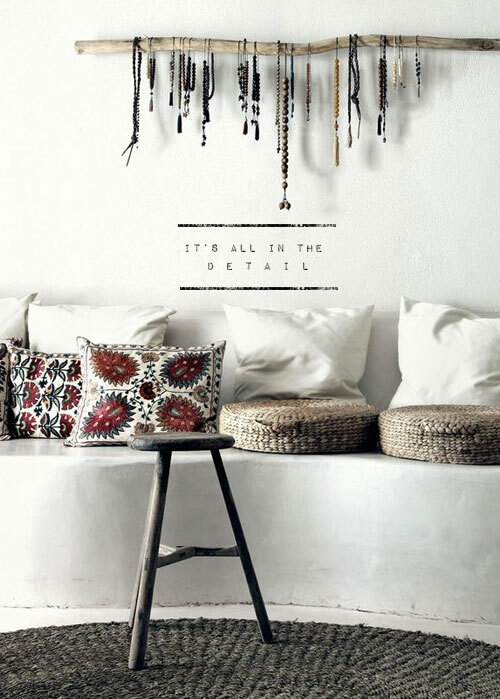 It looks amazing, love the pure white interiors teamed with the washed wooden accessories and woven textile prints, it certainly takes you away from those British summer blues!